In its basic definition, Compression Molding is a forming process whereby a substance or material is placed directly into a heated metal mold then subjected to high pressure in order to produce a pre-defined shape. This method of production was originally developed in an effort to replacing heavier metal parts with lighter yet durable composite parts/components. In order for a manufacturer to fully capitalize on the operational or financial benefits derived from Compression Molding, it will be vitally important to use molds that are highly accurate in design. It is only reasonable to assume that poorly-made molds will generate mediocre and imprecise parts which in turn can/likely will be rejected by customers and/or end-users. 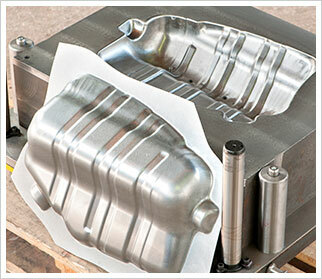 Consequently, manufacturers would be well-advised to consider the precision mold-making services of the experts from Noble Precision as a means of avoiding the potential for such a negative impact on company reputation and revenues. Noble Precision offers the capability to create precision molds for the production of parts or components ranging from smaller commercial items to large panels for automobile and aircraft bodies. Such expertise is supported by Noble Precision’s substantial investments in state-of-the-art technology, most notably the latest in 5-axis simultaneous CNC machines and CAD/CAM software, thus allowing their clients to be beneficiaries of the most advanced and accurate machining methodology currently available. These precision molds created by Noble Precision can assist clients in achieving the highest possible manufacturing efficiencies, including time and cost savings, reduction/elimination of waste, and high tolerances. 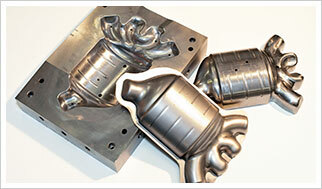 To obtain more information on the precision molding services offered by Noble Precision, see our Mold Making page. For precise Compression Molds to support the production of high-quality and high-tolerance custom molded plastic or rubber parts/components, call the specialists from Noble Precision at 647-499-7569 or contact usto request a complimentary consultation.